Welcome to the third in a new series here on CentreForum’s blog — Liberal Hero of the Week — as chosen by Stephen Tall, Co-Editor of Liberal Democrat Voice, and Research Associate at CentreForum. Reason: for her role in showing reconciliation in the name of peace. 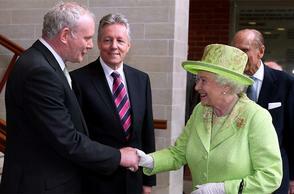 This week, the Queen met former Provisional IRA leader, and current deputy First Minister of Northern Ireland, Martin McGuinness. They shook hands. She smiled. He wished her “Goodbye and God speed” in Irish. Yes, this was an act of symbolism crafted for the watching cameras. But this was more than mere gesture, this was also a deeply personal act of reconciliation which spoke to the capacity for hope to endure experience. But it was also a timely reminder for liberals. For three decades the IRA mounted an active campaign of armed struggle within the UK, assassinating public figures and executing private citizens, even attempting mass murder of the Cabinet and Prime Minister. The British response was the Prevention of Terrorism Act, a temporary act introduced in 1974 by that great liberal Roy Jenkins, when he was Labour home secretary. He conceded ‘these powers are draconian. In combination they are unprecedented in peacetime’. Yet viewed from contemporary vantage, it’s more striking how un-draconian the Government of the day was: a temporary Act with a sunset clause which meant it had to be renewed annually, and whose powers were targeted solely against the terrorists themselves. Compared to the Continuity Blair/Brown/Cameron/Clegg Governments’ sustained efforts to use state power indiscriminately to encroach on personal freedoms ‘for the greater good’, the early incarnations of the Prevention of Terrorism Act seem old-fashionedly proportionate in comparison. 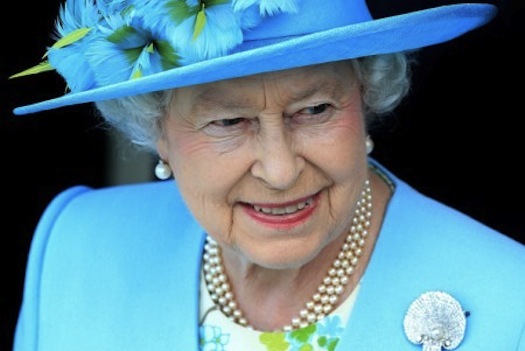 HM The Queen, as a constitutional monarch, has no say over which Acts she signs into law. But her action this week was a dignified demonstration of the optimistic human condition required to counter all threats to personal freedom. 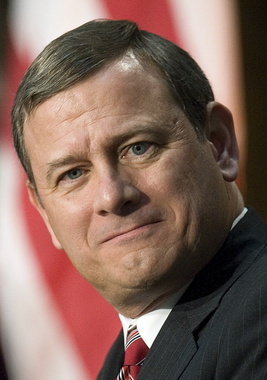 US Supreme Court Justice John Roberts: a conservative appointee of President George W. Bush (whose confirmation Barack Obama voted against), for his role both in securing healthcare for millions of Americans by permitting government to mandate that individuals carry health insurance, and for defending the right of democratically elected leaders to govern.